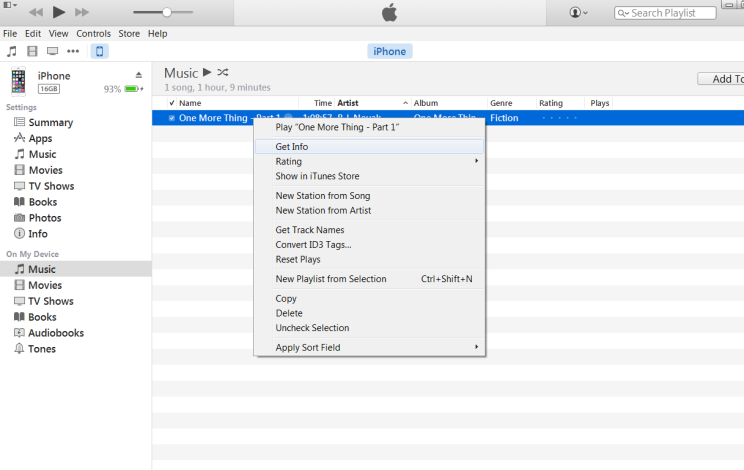 By default, audiobooks are stored under "Music" on your iPod and in iTunes. 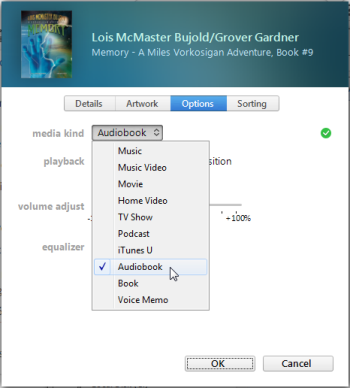 If you prefer, you can categorize an audiobook to show up under "Audiobooks" instead using the steps below. Under "On My Device," click Music. Right-click (or control-click on a Mac) an audiobook file, then click Get Info. In the pop-up window, click the Options tab. In the "media kind" drop-down menu, select Audiobook. You'll now find the audiobook file(s) under "Audiobooks" on your iPod.